Engage rhythmically and become the discerning musician you’ve always wanted to be with our immersive thematic content. Fill your life with expressive passion on the drums. 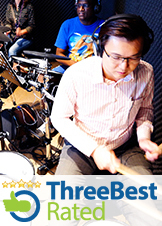 The Contemporary Drums Program™ is designed to equip individuals with the proper techniques to play for both individual and social enjoyment. It is never too late to embark on this musical adventure…We will take you there.